Home Breaking News PICTURE OF THE WEEK – What’s this – an Alfa Truck? PICTURE OF THE WEEK – What’s this – an Alfa Truck? 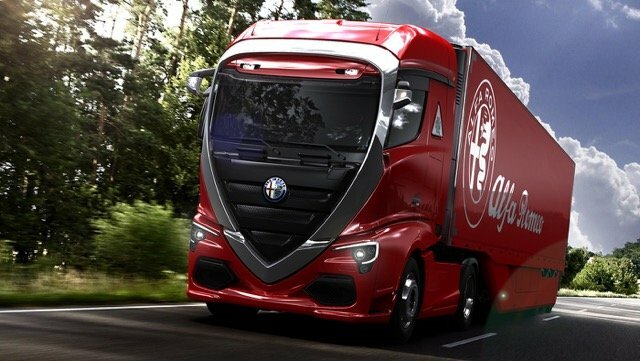 ‘Jaw-dropping’, ‘Stunning’, ‘Must-have’, were just some of the calls from social media once the pictures of the Alfa Romeo tractor-unit concept were revealed on Behance. Brought to screens by the creative talents of budding Korean designer Taekang Lee, it has been described as ‘the most beautiful heavy truck’. 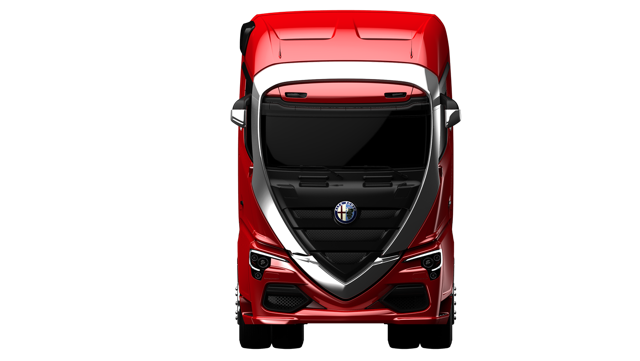 Based on the current Stralis cab from Alfa’s sister company Iveco under the FCA Group, the concept strongly features the unique Alfa ‘Scudetto’ grille and further enhanced with the distinctive ‘Quadrifoglio’ (Clover Leaf) emblem on the side panel. Alfa fans (Alfisti) and truck enthusiasts alike are wishing for this dream truck to come true! The legendary Alfa Romeo badge on trucks is not new as the Italian marque produced commercial vehicles from the 1930s -1960s.